Marvel's 'Agents of S.H.I.E.L.D.' has had a difficult road to sustaining fan interest in the shadow of 'Captain America: The Winter Soldier,' and now the increasingly visual 'Avengers: Age of Ultron,' but April 1 return episode "End of the Beginning" looks more and more like J. August Richards' Deathlok will command the spotlight. See the Marvel character brought to life in his metal glory with the latest trailer, along with new intel on Coulson's blue alien mystery! First up, tonight's 'Agents of S.H.I.E.L.D.' repeat brought our best look yet at next week's "End of the Beginning," which features the best known ‘Agents of S.H.I.E.L.D.’ on the hunt, including Victoria Hand (Saffron Burrows), Jasper Sitwell (Maximilliano Hernandez), Blake (Titus Welliver) and John Garrett (Bill Paxton). 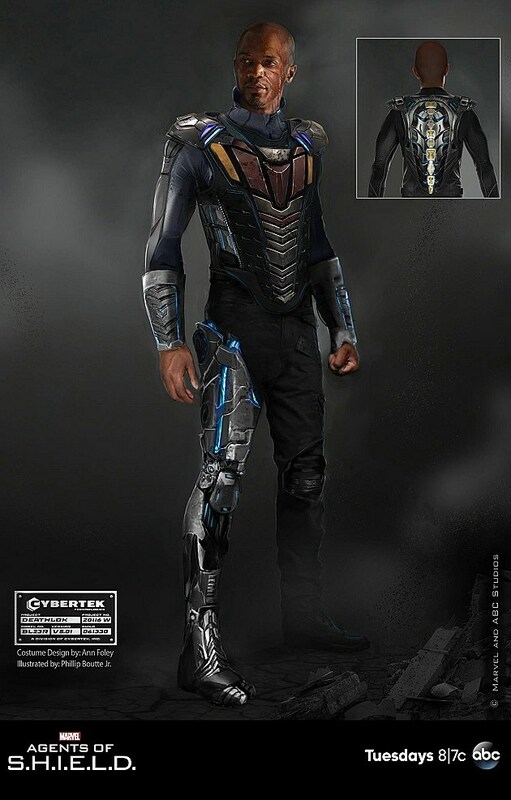 Early photos of Deathlok may have sold the character a bit short, as the CG enhancements greatly help sell the mechanical menace, and more comic book aspects of the undead-ish cyborg character. And hey...was that our first look at "The Clairvoyant" up there? Of course, Deathlok isn't the only comic book character in play for the coming weeks as we'll also have nerd icon Patton Oswalt in the role of Agent Eric Koenig, along with ‘Heroes‘ star Adrian Pasdar appearing as ‘Hulk‘ antagonist Glenn Talbot. Meanwhile, producers are keeping fairly tight-lipped about the mysterious blue alien body revealed to be the source of Coulson and Skye's miracle cure, but the recent PaleyFest panel saw cast and producers narrowing the list a bit. It's not a Frost Giant. We had to talk with the Marvel Studio because they've got aliens coming up in some of their movies, so we had to make sure that we fit within that, and we wanted to do it in a limited way. We're not saying there are these people running around on the planet. There's this thing that could've been there for thousands of years that they found. We're excited to see what Marvel's 'Agents of S.H.I.E.L.D.' comes up with in the final seven episodes of the season, particularly with regard to a tie-in with 'Captain America: The WInter Soldier,' but what say you? Does the above sneak peek of Deathlok in motion have you any more excited for April 1 installment "End of the Beginning?" What race do you think the mysterious blue alien might belong to? 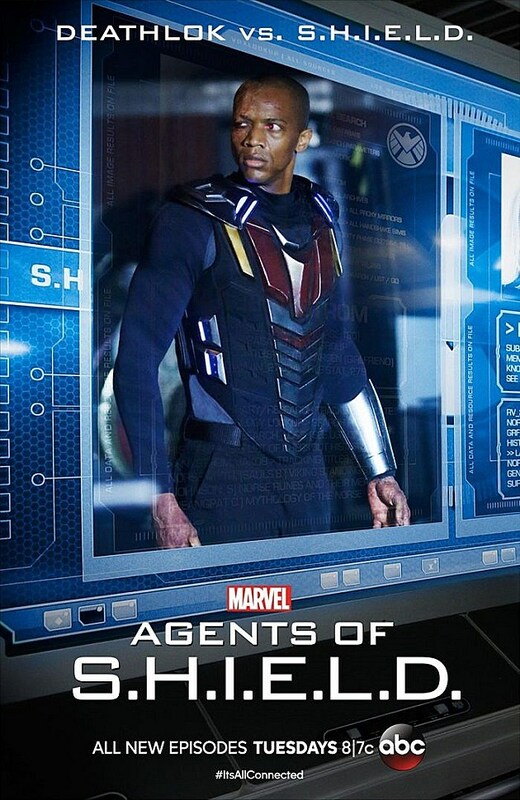 Check out a new Deathlok poster and concept art for Marvel's 'Agents of S.H.I.E.L.D.' below, and tell us in the comments what you want to see the agents tackle next!